In MCST Plan No. 3322 v Tiong Aik Construction Pte Ltd and Another  SGCA 40, the Singapore Court of Appeal (CA) held that architects and main contractors are not subject to a non-delegable duty in tort to ensure that the building and design of the construction project was undertaken without negligence on the part of any of their independent subcontractors. The practical implications of such a ruling are tremendous. When faced with issues such as defective design or workmanship, a management corporation must navigate its way through the many layers of sub-contractors to pursue its claim in tort against the “right” sub-contractor. This update looks at the CA’s decision in relation to whether the main contractor and the architect owed the Management Corporation Strata Title (MCST) non-delegable duties in tort under common law to build and design The Seaview Condominium (the Seaview) with reasonable care. The MCST, on behalf of subsidiary proprietors of the Seaview, commenced action against the (a) developer, Mer Vue Developments (Mer Vue); (b) main contractor, Tiong Aik Construction (Tiong Aik); (c) architect, RSP Architect Planners & Engineers (RSP); and (d) mechanical and electrical engineer, Squire Mech (Squire Mech). The MCST’s case was based on a breach of contract, the tort of negligence and a breach of statutory duty under the Building Maintenance and Strata Management Act (BMSMA). As a complete defence to the MCST’s claim in tort, Mer Vue, Tiong Aik and RSP each pleaded the independent contractor defence – in other words, they were not vicariously liable for the negligence of their independent contractors in the execution of their contracts. Tiong Aik argued that it should not be liable to the MCST where the defective construction work had been carried out by its nominated or domestic subcontractors. Similarly, RSP, who was responsible for all design work including mechanical and electrical design and landscaping architecture, argued that it should not be held liable as it had subcontracted the work in relation to the design and landscaping of the Seaview to Squire Mech and Sitetectonix. The High Court held in favour of the defendants. The court found that Tiong Aik was an independent contractor of Mer Vue, and that Tiong Aik’s sub-contractors were also independent contractors of Tiong Aik. The court held that Tiong Aik would not be liable for the tortious acts of its independent sub-contractors with respect to the alleged defects. Likewise, the court found that since RSP engaged other competent and independent sub-contractors for the design and landscaping of the Seaview, it could not be held liable for the defects caused by these sub-contractors. The MCST appealed on the basis that the Tiong Aik and RSP, owed them a non-delegable duty in tort to ensure that the building and design of the Seaview was carried out with reasonable care on the part of the independent sub-contractors. Tiong Aik and RSP are not subject to such a non-delegable duty in tort. b)	the facts possess all the features described by Lord Sumption in the UK Supreme Court case of Woodland v Swimming Teacher’s Association  UKSC 66. In reaching the decision, the CA analysed numerous Commonwealth cases. The CA held that this doctrine, if applicable to a particular case, would derogate from the “fundamental fault-based principle in the law of torts that liability lies with the party that has engaged in the tortious acts in question”. While the task of performing a non-delegable duty may be delegated, the person owing the duty remains legally responsible for the conduct of those employed to perform the duty. Hence a party subject to non-delegable duties, will be held liable in tort if those duties are breached, even if he had without negligence delegated the performance of those duties to an independent contractor who was negligent. Non-delegable duties create an exception to the rule that an employer cannot be liable for the negligence of its independent contractors. It is therefore evident that the doctrine of non-delegable duties may, under the right circumstances, be an exception to the impregnable independent contractor defence. The court then went on to examine statutory and common law non-delegable duties. Even though the appellant had eventually chosen not to pursue the argument on statutory non-delegable duty of care, the court went on to clarify the law on this area. The duties imposed by s9 and s11, only concerned building safety, construction in accordance with the relevant approved plans, compliance with building regulations and provisions of the BCA, and compliance with the terms and conditions imposed by the Commissioner of Building Control. The BCA’s objectives were merely to impose legal responsibility and protect building occupiers and owners only in respect of building and structural safety, and not in relation to other aspects of the construction such as workmanship or aesthetic flaws. 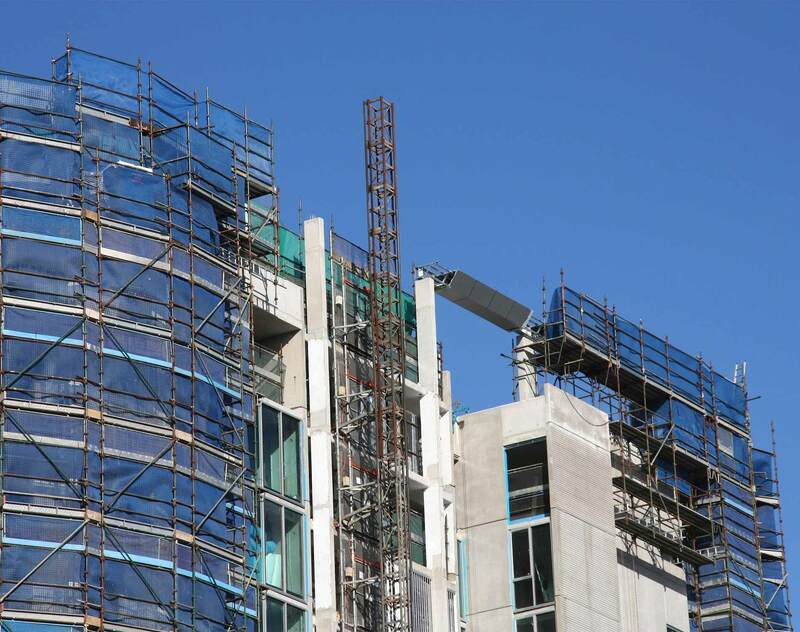 Parliament, when enacting the BCA, intended to legislate solely on structural soundness and safety, to the exclusion of other aspects of the construction, such as poor workmanship. a)	A patient or a child who is especially vulnerable or dependent on the protection of the defendant eg prisoners and residents in care homes. b)	An antecedent relationship between the claimant and the defendant, (i) which places the claimant in the actual custody, charge or care of the defendant and (ii) from which it is possible to impute to the defendant the assumption of a positive duty to protect the claimant from harm. c)	The claimant has no control over how the defendant chooses to perform those obligations, ie whether personally or through employees or third parties. d)	The defendant has delegated to a third party some function which is an integral part of the positive duty which he has assumed towards the claimant. e)	The third party has been negligent in the performance of the very function assumed by the defendant and delegated by the defendant to him. Even if either (a) or (b) above is fulfilled, the court will additionally have to take into account the fairness and reasonableness of imposing a non-delegable duty in the particular circumstance, as well as the relevant policy considerations in our local context. Given that the current facts did not fall within any of the established categories of non-delegable duties, the CA moved on and referred to the Woodland principles. First, the CA found that on the facts, there was no direct contractual relationship between the Appellant and the Respondents. The main contractor and the architect had individually contracted with the developer, and not with each other or the MCST. As such, the MCST was not in the ‘custody, care and charge’ of the Respondents. Indeed, since the MCST came into existence only after the main Contractor and the architect had finished their job, it is axiomatic that neither of the respondents ever exercised any control over the MCST. Second, the CA also found that the MCST was not especially vulnerable or dependent on the respondent to protect them against the risk of pure economic loss arising from building defects in the common property. This is fundamentally because the MCST has a claim for breach of contract against the developer as well as a claim under the contractual warranties against the main contractor. As a result, the CA concluded that the facts of the case do not correspond with the features elucidated in Woodland for a non-delegable duty of care to arise. The CA rejected the appellant’s argument that the main Contractor and architect owed them a non-delegable duty to ensure that all aspects of the building and design of the condominium were completed with reasonable care. Indeed, to hold otherwise would cause the respondents to be the insurers of the condominium against all kinds of defects, thus placing an onerous burden on them. The CA also found that if the MCST had intended the respondents to owe them a non-delegable duty, the MCST could have done so through the imposition of liability via contractual arrangements. This was the preferred view by the Apex Court rather than an unprincipled expansion of the categories of non-delegable duties. This case establishes the two circumstances which determine the existence of a non-delegable duty of care. Also, it is clear now that a plaintiff’s non-delegable duty claim would defeat a respondent’s independent contractor defence. Even though the CA eventually found that the main contractor and architect do not owe a non-delegable duty to the MCST in the present factual matrix, it does not necessarily foreclose the possibility for other factual scenarios. Particularly, the CA cautioned that it would not lay down specific rules to determine whether a new category of non-delegable duty may be developed in future since it is ultimately a fact-sensitive question. However, what is pertinent is that even if either of the two criteria laid out by the CA is fulfilled, the court may still refuse to impose a non-delegable duty if it is unfair or unreasonable to do so in the particular circumstances.